Welcome to the RobotCub wiki. The links below are meant to help navigate the RobotCub/iCub documentation. 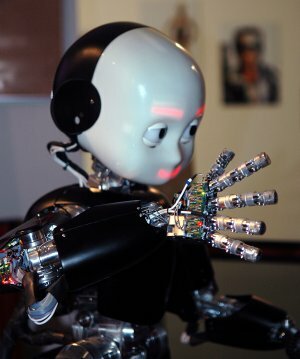 The best way to learn about the robot is to start from the iCub Manual. Papers, including a description of the robot hardware, are available from the main RobotCub website, see for example, our paper repository. This is older material pertaining to the RobotCub project which is now finished. This will be moved in the near future to a separate page. Deliverable 2.2 - addendum to "Software Implementation of the iCub Cognitive Architecture (version 2.0), M65"
Deliverable 2.2 - addendum to "Software Implementation of the iCub Cognitive Architecture (version 1.0), M48"
Deliverable 3.1 - addendum to "Models of sensorimotor coordination"
If you'd like to contribute to this wiki, please read How To Contribute. This page was last edited on 9 January 2019, at 10:08.